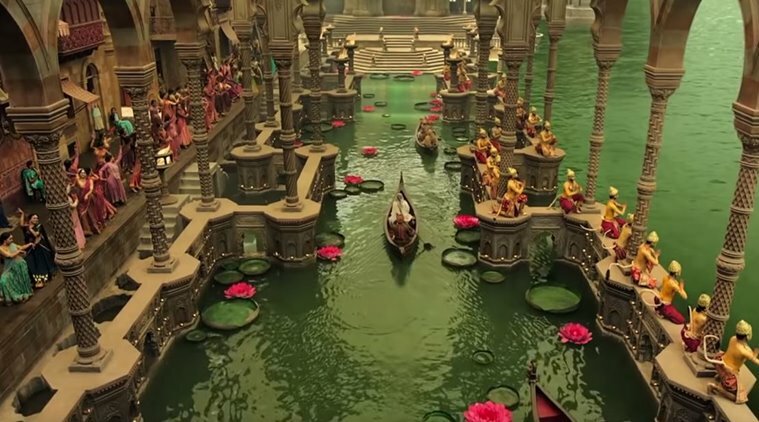 Ever since the makers embarked with the trailer of the film – Kalank, many wondered as to how the makers were able to showcase such a realistic kind of city in a period drama. All thanks to the mighty sets, which were erected in a huge land seeking the help of more than 600 artists and creative people working day and night to convert the barren land of an old city. The makers were quick to realize the intrigue element of the audience, and they were quick to respond with the media. They released a media where Varun is seen taking the people into the details of the way the sets were erected seeking the help of hundreds of people in 3 minutes 49 seconds, which talks about the lofty production values of the love story film as set before the independence age. The film is produced under the banner of Dharma Productions, Nadiadwala Grandson Entertainment and Fox Star Studios. The film has an ensemble star cast having Alia Bhatt, Varun Dhawan, Sanjay Dutt, Sonakshi Sinha, Madhuri Dixit and Aditya Roy Kapur.